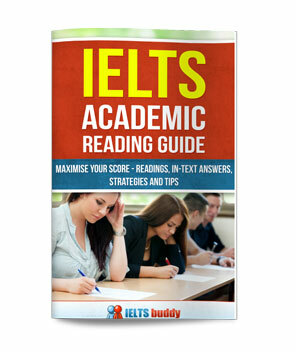 Could you please comment on the IELTS Essay introduction. Thanks. The world that we live in today is dominated by advertising, and this true as we can see many of the Adverts on television, on the World Wide Web, in the street and even on our mobile phones. However, many of the strategies used to sell a product or service can be considered immoral or unacceptable. Yes, your introduction is good. In the first part you have introduced the topic (advertising) and given some background facts. Then you have given your opinion - that you agree. You have paraphrased and not copied the rubric. In the essay you can then explain why you have this opinion, and you can also put the opposite side of the argument in as well if you wish (I recommend students put both sides of the argument in). Some students introductions are much too long for a 250-300 word essay. Follow these links for further guidance writing introductions and writing thesis statements. So the structure is fine. The only problem is your wording looks odd in the first sentences. You have said that the world is dominated by advertising (this looks like your opinion), but then you have said your own opinion is true. You would not have said the first part if you did not think it was true, so this looks odd. The world that we live in today is dominated by advertising, and this is evident in the many adverts that we see on television, on the World Wide Web, in the street and even on our mobile phones. Also, you missed the verb 'is' after 'this'. Sir, giving personal views in introduction will constitute repetition of ideas in the last. This practice sounds childish and unbecoming of ielts essay. How about giving it in conclusion only? You can give it in both, it's not an issue. How do I attract the examiners attention with a good introduction? I want to ask a question. How to write a good introduction in my first paragraph to attract examiners' attention. Comments for How do I attract the examiners attention with a good introduction? It is not really writing a good introduction to attract the examiner - the examiner will read your introduction whatever you do because that is their job! So you should do those basic things - the examiner will like it more of course if it is well-written - but that is a grammar issue. Check out the link in my reply to the post above I provided that explains introduction writing. These are simple ways to do it - of course you can try to make your IELTS introduction more sophisticated if you are a good writer, but it should still have these two things. 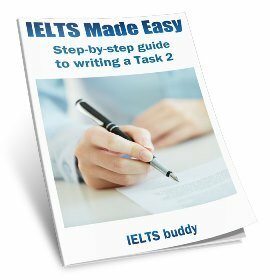 How do I write a clear IELTS essay introduction and conclusion? 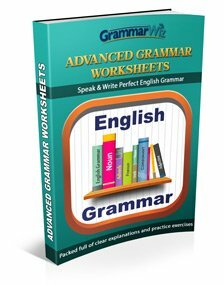 how to write a clear introduction and conclusion? 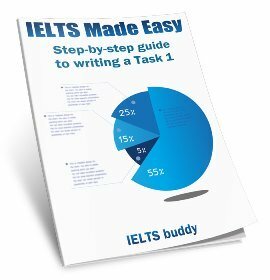 Comments for How do I write a clear IELTS essay introduction and conclusion? Should I give my opinion in the introduction or conclusion? In opinion essays, should I give my opinion in introductory paragraph or should i wait till conclusion in order to present my opinion. Most of the format I have seen online state their opinion in the introduction and then reaffirm it in the conclusion but that seems more like a repetition to me. what is your opinion about this? Comments for Should I give my opinion in the introduction or conclusion? It's very important to make sure you clearly give your opinion in an opinion essay. That is why many sites state that you should give it in the introduction and conclusion. It is fine to do this and it won't look like you are repeating yourself. A conclusion summarises the main ideas and points of your essay so it is normal for the conclusion to repeat things. So you may have your opinion only in the conclusion or in the introduction and conclusion. You would never just have it in the introduction. Putting your opinion upfront in the thesis (the last sentence of the introduction, not the first sentence as this will be your general statement) means it will be very clear to the examiner at the beginning exactly what your position is before they start reading. (Check out the link in the post above that explains introduction writing). This can be a good thing as it will avoid any confusion, especially if you are a lower level candidate and you are less able to make your ideas clear in the body paragraphs. You would then repeat your opinion in the conclusion. (Check out the link in the post above, which explains how to write a conclusion for an IELTS essay). But you don't have to do this. If you follow some general essay writing guides they will tell you to put your opinion at the end of the essay if it is an essay where you are asked to "Discuss both opinions and give your own opinion" but at the beginning if you are asked if you "Agree or disagree". If you want to do this, that is fine, but you won't be marked down if you do not follow this convention. As I said, it is up to you how you decide to approach things, but whatever you do, you must have a clear opinion which supports what you have written in the actual body paragraphs. If you are of a lower level of writing though and there could be any confusion it is best to put it upfront in the introduction and conclusion. The criteria examiners use for marking Task 2 essays constantly refers to 'position'. For example, for Band 7, it says "presents a clear position throughout the response". While you might not use the words 'I believe' or 'In my opinion'in the introduction, you still need to make sure that the examiner knows what YOU think. It makes no difference HOW an IELTS question is worded - the marking sheet doesn't change - so whether the question says 'give your opinion' or not, you must make it plain throughout your essay to score 7 or higher. Some people think that schools should select students according to their academic abilities, while others believe that it is better to have students with different abilities studying together. Discuss both views and state your own opinion. Every children will have different abilities. Some people argue that it is undesirable to distinct children according to their abilities. Personally I believe that it is healthier to differentiate children with respect to their abilities. I would say it is just 'ok' as it needs a few things improved. You have problems with your grammar, word choices and sentence structure. For example, 'distinct' does not fit here, you repeat 'abilities' (three times!) and 'every' should be followed by a singular noun. In addition there are too many simple sentences together so you should make the second two into one complex sentence. Also you must mention key words from the topic. In your essay introduction you have made no reference to education or schools. That is a key part of the topic. Every child will have different abilities at school. Though some people argue that it is undesirable to separate children according to their skills, personally I believe that it is healthier to differentiate children in this respect. Hi, yesterday I attempted my IELTS writing exam but I was not able to complete Task 2. I missed some part of the conclusion. Will I loose any marks for that?? It's not really possible to say whether it would have or not. The marking doesn't work in that way - there is nothing in the marking that specifically mentions conclusions. Your essay needs to be a certain length, answer the question, be coherent etc. If any of those kinds of things were affected by your conclusion it's possible your band could be affected. But if you fulfilled most the criteria and your opinion was clear etc. it may not make any difference. So too difficult to say. You really just need to wait for your result. Do we always need to give our opinion? 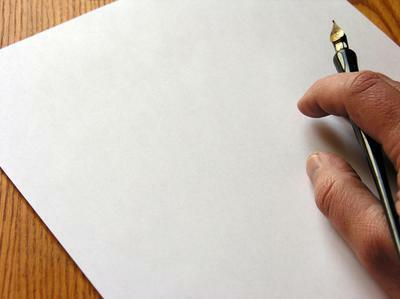 Do you always need to give your opinion about the subject in the question for the essay in task 2? On the IELTS website they talk about how important it is that you express your own opinion in the essay. But what if the question does not specifically ask for your opinion? Comments for Do we always need to give our opinion? I don't know what you are referring to on the IELTS website, but you always should obviously give you opinion for opinion essays i.e. do you agree or disagree or discuss both sides and give your opinion. In those cases you would want to make sure your opinion is very clear in the introduction and / or conclusion. But if you were asked for example about causes and solutions you would not need to give your opinion in the intro / conclusion. It would not be a problem if you did give some kind of opinion about the subject but it would not be necessary. It would be useful if you copied and pasted the part on the website you are referring to then I can look. What could be the reasons for this? Is it a positive or negative development? Well, it is not exactly the words but has the same thought. Due to time pressure and anxiety, as far as I can remember, I forgot to address the 1st question in the introduction. What I did was I paraphrased the topic and answered that it is a disadvantage to the society. On the other hand, I discussed the reasons in first body paragraph. Yes you could still get a 7. It sounds like you still had a clear thesis statement setting out your opinion and you also answered the question fully - body paragraph one about the reasons then body two explaining your opinion. Obviously there are many other factors they take into account when they score you essay so there is no guarantee of a 7, but if you did everything else well I don't think what you did is likely to be a reason to knock your score down. 1) What are these differences? 2) What are the problems caused by it? I think I have not listed all the differences and the problems. Will I lose marks for losing out some important ideas? The examiner does not have a list of ideas in front of him/her, with a check list to see if you got them all. And who knows which is the 'most' important? That's very subjective so you can't get marked down because the examiner felt another idea that was more important was not discussed. You decide what ideas you want to use to support your essay and you'll be marked on how well you present and explain them. Anyway, it would be completely impossible to give every possible idea in response to a question. There could be many. You only have the time and space to present around two ideas in each body paragraph.